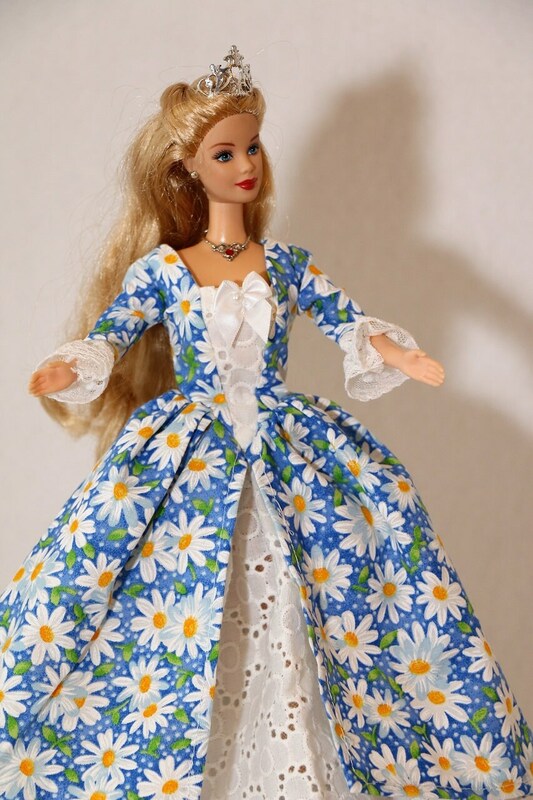 This Barbie dress set comes with a blue overskirt covered in daisies and underskirt made for 11 1/2" dolls, like Barbie dolls, and have velcro closures. - A blue overskirt covered with large white daisies, green leaves, and tiny white polka dots. There is lace trim on the sleeve edges and a small white satin bow on the bodice inset. - A white eyelet underskirt with large white flowers and lined with tulle. Ships FREE when you buy another set to mix and match! Like this dress but want it in a different color or fabric? Send us a convo to make a special order.